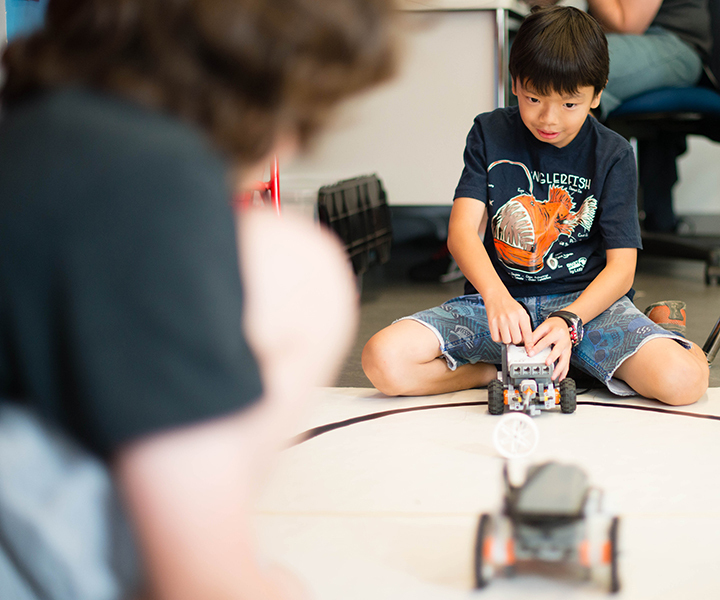 Whether you are a new programmer or a practiced builder, Robotic Engineers camp offers you a chance to dig into the world of robotics in a fun and challenging way. This camp consists of design, building, and programming challenges in a way that will get you thinking creatively and keep you having a good time. Campers will use the EV3 and it’s accompanying Mindstorms programming to solve challenges and play games. Games might include but are not limited to battle bots, steal the bacon, soccer games, and more. We will also use LEGO Technic pieces and some traditional and non-traditional building materials to combine with motors and sensors to design and test ideas in engineering challenges. Campers signing up for more than one session have the option to tackle challenges in new ways, with additional layers of complication and learning, or can help create a customized challenge to continue to develop their skills. 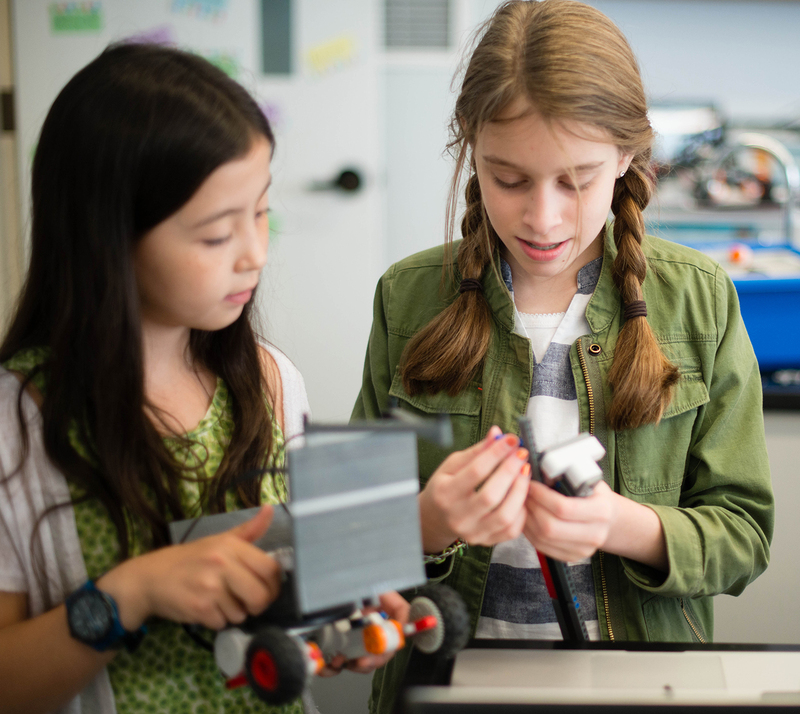 With an emphasis on problem solving and creativity, Robotics Engineers offers campers a chance to explore technology in an enthusiastic and in-depth way no matter what level of experience and skill they are coming with. 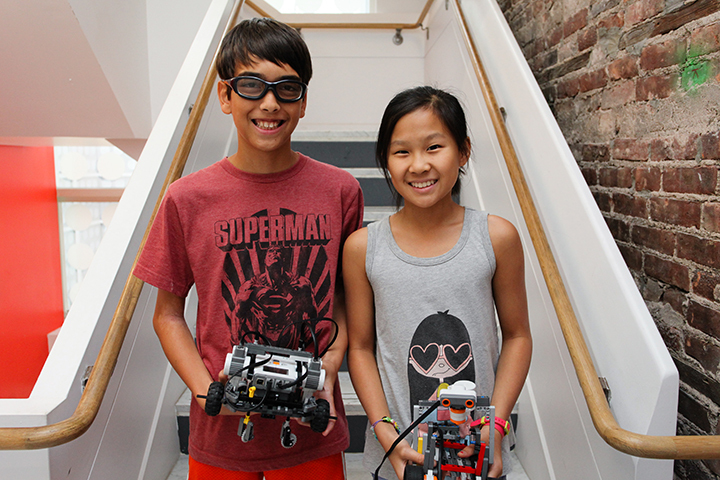 Robotics meets Monday-Friday 9:00am-4:00pm at our Sixth Avenue Campus. It meets Monday-Friday 9:00am-4:00pm. A hot lunch is provided Monday-Thursday; we ask that campers bring a bag lunch on Fridays. Robotics students may occasionally make chaperoned off-site trips as dictated by the needs of their individual and group projects. Additionally, on the first Friday of each session, students will join the Tens-Twelves and other Specialty camps on a Field Trip via air-conditioned coach buses. A Robotics share open to family and friends will take place on the second Wednesday afternoon of each session. 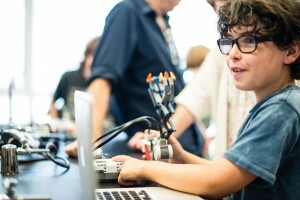 The final Friday of each session is devoted to open Robotic exploration and disassembling robotic creations, in addition to a comprehensive final robotics wrap-up group chat. Campers will have the opportunity to decide the content of their share with support from instructors.